Handles like a dream. Eye catching and fun to drive. Fun car to drive. Handles very well and nice to drive in back country roads. Heated seats are very nice in the winter. Has always been a reliable vehicle. Never had any major issues. Normal fixes for a car 12 years old. Had to replace a wheel bearing and have had issues with belts. Have a loud shrieking noise when first started in the winter and the heat or defroster comes in. Belts were replace but now being told this is an issues with the belt pulleys. Apparently this is a common problem. We did have to replace the air conditioner compressor and hope this is not another problem with this going out. 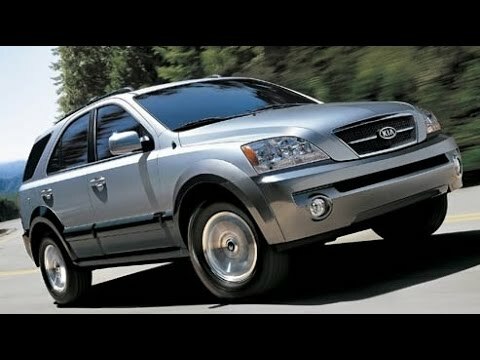 The Kia Sorento, a fun loving, versatile vehicle. I have a 2006 Kia Sorento, a midsize SUV with a comfortable seating area with a lot of legroom for the back seat passengers. The cargo area is handles suitcases for four people easily. I also carried two dogs over a hundred pounds comfortably. I have taken the SUV on many long distance trips, she is quiet, runs smoothly. Seats are comfortable and gas mileage has been very good. I have towed several types of small trailers. The SUV handled both the flat and hills very well. The Kia Sorento drives really good for a SUV. It easy to get in and out of, drives and rides very comfortably. It has lots of room. Seats five. The lights go off when the ignition turns of to keep from accidentally leaving your lights resulting in a dead battery. Both back seats least down for hauling. The doors will not stay locked when the car is running and in the park position, unless locked from the passenger side to help keep from locking the keys in the door.